Comedy partner with Richard Murdoch, for decades a household name in Britain. Starting as a standup comic, he was star of the early radio sitcom, Bandwagon. 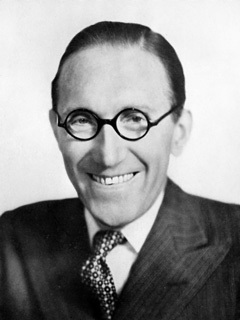 Askey is the originator of some ubiquitous catch phrases, including "Ay-Thang-Yew" (later used with effect by Mike Myers in Austin Powers), "Before Your Very Eyes! ", "Hello, Playmates! ", "Move along the bus please", and "Doesn't it make you want to spit?" Towards the end of his life both legs were amputated due to circulation problems.